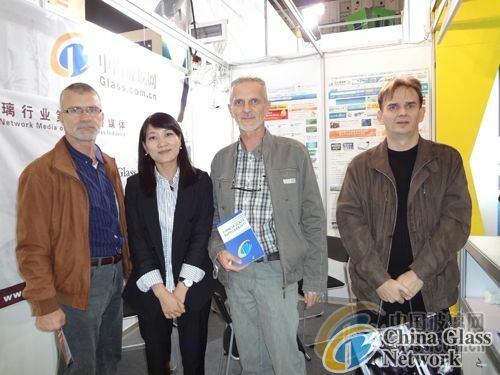 (China Glass Network) One of the world’s top three professional exhibitions of glass industry—VITRUM 2011 was held in Fiera Milano during October 26th to 29th. VITRUM, the leading international glass manufacturing trade event held every two years in Italy, continues to find ways to present cutting edge techniques and technologies alongside a glimpse into the illustrious past. As the professional network media of glass industry and a e-commerce platform for glass enterprises at home and abroad, China Glass Network toured Italy to attend the famous exhibition to grasp the latest trends. The 17th exhibition attracted a large amount of glass enterprises at home and abroad including several Chinese companies. The scope of the exhibition includes glass machinery, glassware, glass fitting, refractory material , raw and processed materials, consultation service and so on. To China Glass Network, this is really a fruitful visit. Streams of people came to the booth of China Glass Network to get “China Glass Supplier 2011” and filled in the purchasing intend form which will get the latest information for our members. 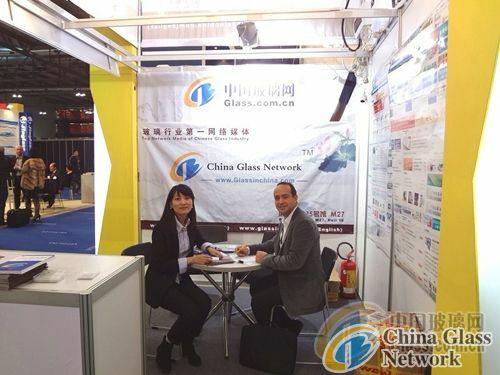 In addition, China Glass Network intend to cooperate with “Asia glass” to explore global market, the service of China Glass Network will be more and more professional, it will persistently strive for establishing a trade bridge for enterprises of glass industry all over the world.